Every year, more than 600,000 passengers climb aboard Holland America's luxury ships and travel the seas in search of new and extravagant adventures. Promising an unforgettable and world-class culinary experience, Holland America has written a cookbook that makes it possible to re-create its magical meals at home. 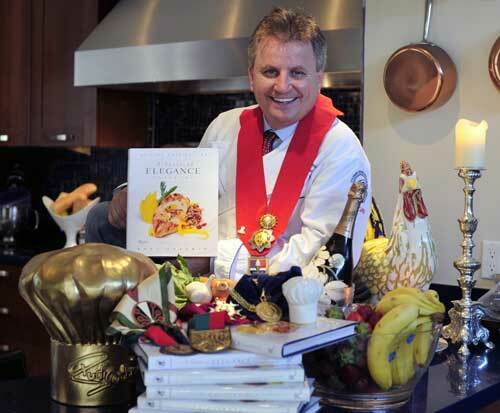 Holland America's Master Chef Rudi Sodamin has compiled more than 100 favorite recipes from each of the line's 14 vessels, offering a comprehensive menu for all times of the day along with elaborate yet easy-to-follow recipes for refreshing drinks and cocktails. From savory Dungeness Crab Cakes with Lime Ginger Sauce to velvety Roasted Shallot and Butternut Squash Soup with Beet Crisps to mouthwatering Wild Mushroom, Spinach, and Feta Cheese Strudel, Sodamin will keep you eating and dining in high style while landlocked. 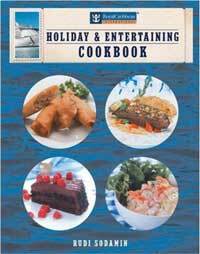 Including a timeline and history of Holland America, A Taste of Excellence Cookbook is the perfect cookbook for the lovers of the sea. 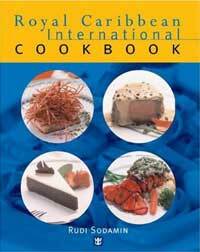 The delicious compilation of 130 recipes is guaranteed to have you nibbling—on Lobster Risotto, Chocolate Mousse...or on your lover's neck! As the executive chef for world-class cruise-ship kitchens, Rudi Sodamin is a modern-day Cupid, uniquely qualified to make any meal into a special occasion. 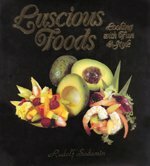 A book for the cook, or that special someone, Seduction and Spice promises flavorful, sensual encounters. 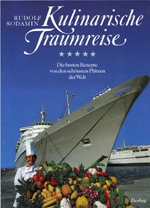 Royal Caribbean International Holiday and Entertaining Cookbook. With millions of well-pampered guests who have enjoyed the superior hospitality provided aboard Royal Caribbean International ships, you could say the cruise line knows what it takes to be the perfect host. Now its Master Chef and guru of entertaining, Rudi Sodamin, is providing his time-tested secrets for planning, preparing, and presenting the perfect holiday fare and creating a celebratory atmosphere. 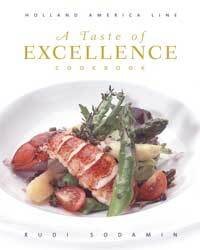 Chef Sodamin's talent, culinary mastery, and energy are evident throughout this lively volume. You will be inspired by his passion for entertaining family and friends—and the ships' guests. Under the direction of internationally renowned chef Rudi Sodamin, the Royal Caribbean Cruise Line has become one of the top destinations not only for vacation cruises-but for eating, as well. The line has consistently been recognized for its high caliber and diverse cuisine. 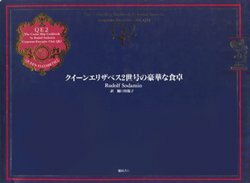 This book is a mouth-watering collection of Sodamin's best-loved meals, created from his own experience and interaction with the cruise lines' one hundred and forty-five worldwide destinations and fifteen ships kitchens that he oversees. 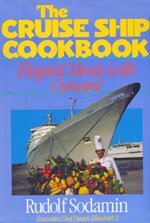 This collection reflects the variety and quality of cruise ship cooking, offering a wide range of recipes and an emphasis on presentation, along with numerous full-color illustrations of the fare.